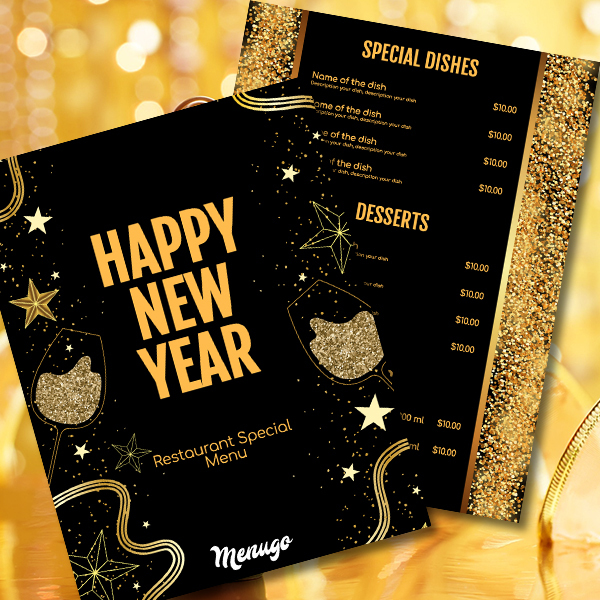 Black and Gold New Year Menu Template inspired by "Great Gatsby" is what everyone wants! Shiny and sparkling like a glass of champagne! Grab somebody you love and celebrate this huge occasion!